After I left Mozilla earlier this year, I took a break from blogging. I’ve gotten back into writing recently and am ready to be blogging more regularly. This first new post is going back to earlier this summer and linking to an article I wrote on LinkedIn. I’ve been reading many job descriptions for community roles recently and wrote a post called You’re Not Really Looking For An Extrovert For That Position about that experience. 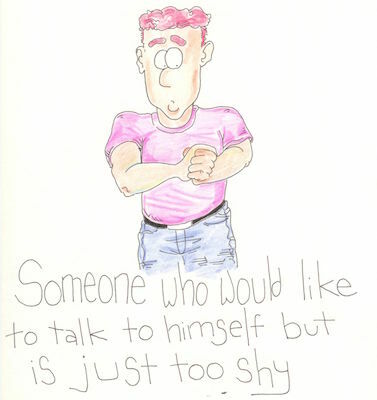 I’ve seen several descriptions that explicitly ask for extroverts to apply, but there are many talents associated with introversion that often get overlooked that are needed for someone to be a great community manager. I enjoyed using an old All Is Well cartoon for an image in the article. When I was going back through things I saw several other cartoons that would be good images to use for other articles about community topics. The next one I think I’ll use is the giant chicken cartoon for an article about community metrics—an obvious fit, right? 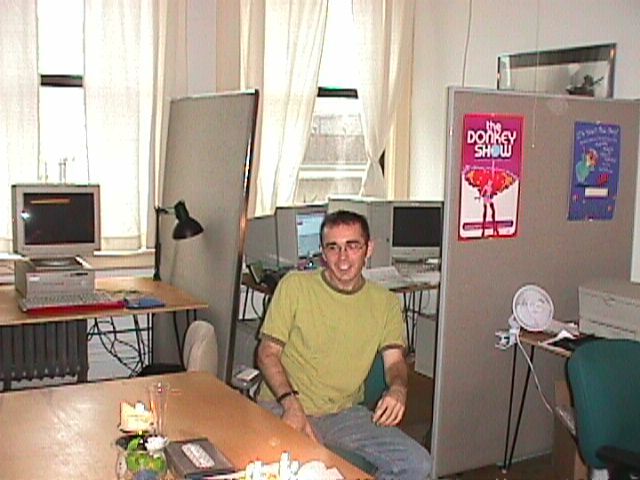 I got involved with Mozilla as a volunteer in 1999 because I was excited about the idea of an open project that gave people the opportunity to contribute to a cause they believe in. Since 2007, I have had the privilege to work here and help many other volunteers pursue their passion and get involved with Mozilla. This Friday, the 13th, will be my last day as an employee and I will return to being a Mozilla volunteer. I hope to stay in touch with both the staff and volunteers who I have met during my Mozilla journey. Please feel free to reach out—my contact information is on my Mozillians profile. I recently got back from my first Mozilla Festival and I’ve been thinking about what I experienced there. There is too much to fit in one post, so I want to focus on the question that came up in Mitchell’s keynote: What does radical participation look like? What was radical when Mozilla started is standard practice today (for example, Microsoft now runs open source communities). We can’t win by doing the same thing others are doing, so how can Mozilla invite people to participate in ways that no one else is able or willing to do? I have some thoughts about this and I’m interested in hearing what other people think. To get the conversation going, I’ll share one idea about what it would look like for Mozilla to have radical participation today. In most areas of Mozilla, staff are directly doing the work and volunteers are involved with those teams to differing degrees. We have good metrics for coding and we can see that volunteers are committing around 40-50% of the patches. For a comparison with another volunteer-based organization, at the American Red Cross volunteers constitute about 90% of the workforce. The Red Cross staff are mostly supporting those volunteers rather than doing the work of responding to disasters themselves. We should measure the percentage of tasks done by volunteers across the whole project and set goals to get it closer to the example set by the Red Cross. Some areas, like SUMO and Location Services, are close to this today. Let’s take the knowledge they’re gaining and bring it to other teams to help them scale contributions. There will certainly be challenges doing this and it might not make sense for all teams. For instance, with the coding example above it might not be productive to have more volunteers submitting patches. This is an assumption that should be tested though. For example, Dietrich Ayala has had great results bringing in many students to help work on long-term features on the Firefox OS roadmap. Their work is removed from the day-to-day of staff developers shipping the next release, so he avoids the Mythical Man Month problem. We could use Dietrich’s model to support large groups focused on innovating in areas that will be relevant to us 2 or 3 years out, such as looking into how we can shape an open Internet of Things. We couldn’t hire 1,000 staff to focus on an Internet of Things research effort, but we could build a community of 1,000 volunteers to do that. Wikipedia says that there are about 1,000 employees of Microsoft Research. I’m assuming Microsoft wouldn’t be willing to close that department and replace their R&D efforts with volunteers. So having volunteers do more of the tasks with staff focused on supporting them feels to me like one part of radical participation. What do you think? What else could we be doing to get to a point of radical participation? We are conducting a research project to learn about the values and motivations of Mozilla’s contributors (both volunteers and staff) and to understand how we can improve their experiences. Please take a few minutes to fill this out and then share this link with the communities you work with. Having more people complete this will give us a more complete understanding of how we can improve the experience for all contributors. We plan to have results from this survey and the data analysis project available by the time of the Portland work week in December. I’m very excited to see the new version of Mozilla’s Get Involved page go live. Hundreds of people each week come to this page to learn about how they can volunteer. Improvements to this page will lead to more people making more of an impact on Mozilla’s projects. This page has a long history—this page existed on www.mozilla.org when Mozilla launched in 1998 and it has been redesigned a few times before. There is something different about the effort this time though. We’ve spent far more time researching, prototyping, designing, testing, upgrading and building than ever before. This reflects Mozilla’s focus this year of enabling communities that have impact and that goal has mobilized experts from many teams who have made the experience for new volunteers who use this page much better. Mozilla’s investment in community in 2014 is showing up in other ways too, including a brand new contribution dashboard, a relaunched contributor newsletter, a pilot onboarding program, the first contributor research effort in three years and much more. All of these pieces are coming together and will give us a number of options for how we can continue and increase the investment in community in 2015. Look for more thoughts soon on why that is important, what that could look like and how you could help shape it.